Borel Middle School Talk – Let’s Talk About It. Listening to your child. From my experience of teaching and coaching hundreds of parents plus raising my own daughter, learning how to listen and build connection is the foundation to harmonious home. This blog post is the workshop style handout I used to guide the parents who attended the school workshop through the process of understanding the Think-Feel-Do Cycle. in order to shift from not listening to an upset child to listening to an upset child, begin with analyzing your inflexible thoughts that lead to disconnection and then replace them with flexible thoughts. 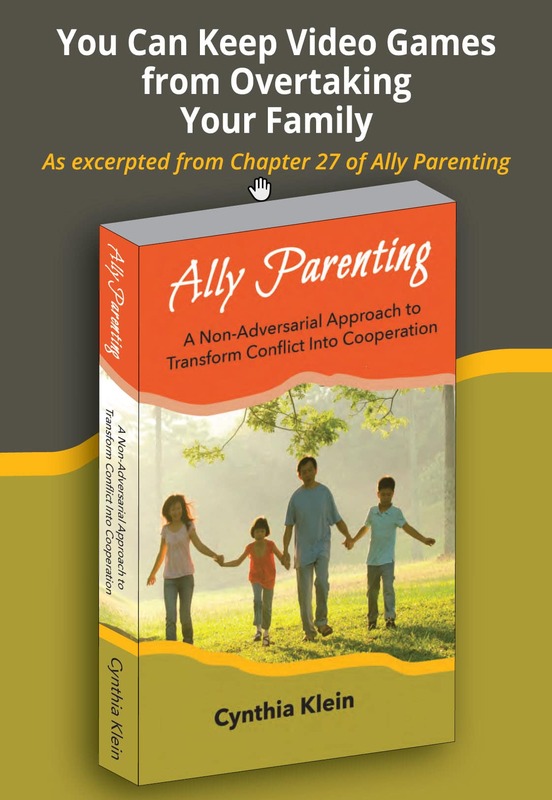 For a complete understanding, please refer to my book Ally Parenting: A Non-Adversarial Approach to Transform Conflict Into Cooperation. Our thoughts and feelings create our actions. Words can become communication blocks. Your flexible thoughts lead to connection, empathy, and the ability to listen and influence. PART 1: Our Thoughts and Feelings Lead To Our Actions. Activity 1: Write down a time when your child was upset and you didn’t want to listen. Your main focus was for them to stop being upset. What are some inflexible beliefs and thoughts you had that made it difficult to listen to your upset child? Here are some examples. Add your own at the end. Buck it up. Get over it. Emotions should be ignored. Listening makes them upset longer. Listening makes kids think you agree and approve of what they are saying. Listening will lead to more arguing. They shouldn’t be upset. They are being silly. Why are they acting this way? It’s no big deal. It will weaken them if I listen to their upsets. Activity 2: What feelings do you have about your children or yourself when it’s hard to listen? Here are some examples. Circle the ones that apply and add your own. Angry, ashamed, disappointed, guilty, hopeless, irritated, miserable, overwhelmed, pained, rejected, remorseful, resentful, manipulated, trapped, uncomfortable, unloved, worried. Activity 3: What did you say or do during this “difficult to listen” time? You felt frustrated and helpless, so you told him to go into his room until he calms down. Tried to make her feel better by saying it isn’t that bad, or it will get better, or we can fix it. You felt hurt or manipulated so you got angry. What did you say and do? Told your child to stop being so upset. What did you say exactly? A communication block is any remark or attitude on the part of the adult that injures the child’s self-esteem to the extent that the child stays upset, and communication and connection is broken off due to an underlying negative message that your child “hears”. #1 Giving advice – You don’t have the good sense to come up with your own solutions. #2 Psychologizing – I know more about you than you do. I’m superior. Adult: “I think you’re getting too upset about your fight.”. #3 Commanding – You don’t have the right to decide how to handle your problems. #4 Interrogating – You must have messed up somewhere. #5 Placating – You don’t have a right to your feelings. You (nor I) can handle them. Which blocks do you tend to use? PART 3: Your Flexible Thoughts Lead To Connection, Empathy, and The Ability To Listen and Influence. Activity 5: Which flexible thoughts below could replace your inflexible thoughts? I can handle listening to my upset child. After he gets his upset feelings out, then we can possibly find a solution. I need to get control of myself. He/she is just trying to cope. Only after my child releases feelings will she be able to solve the problem. If I try to solve the problem too soon, my child will reject whatever I say. With your partner, role play the child’s complaint and the four possible adult responses. Decide which responses open the lines of communication by acknowledging what the child may be feeling or thinking. Use tentative comments. The answers are under this activity. I don’t know what to do for my project. Stop complaining and just figure it out. Just start writing down some ideas then it will come to you. Deciding on a project can be really hard. It isn’t as bad as it seems. You can do it. I don’t want to invite Ryan to my house any more. Have you tried talking to Ryan? I think you should call Ryan up and work this out. Don’t be so hard on Ryan. Give him another chance. It seems like Ryan has really upset you. I’m too tired to do my homework. Well, you have to get it done. Just leave it for the morning, then. If you had done it earlier, you wouldn’t be in this position. I don’t like school anymore and I don’t want to go. I’m sure you’ll feel better and enjoy it once you get to school. Let’s go. I thought you liked school. What happened? We all have to do things we don’t like. Home activity: Talk to your child about communication blocks. Explain how you might say things while they are upset that causes them to get angry with you or stop talking to you. Which of the blocks don’t they like? Which one or two do they want you to work on not doing. There is a complete list of communication blocks in my book, Ally Parenting. Copyright 2019 Cynthia Klein. Contact Cynthia for the rights to reproduce this article.